Writing a book is an amazing achievement, one you should celebrate and enjoy. Getting your book from a raw mess of words to a polished, publishable entity, complete with a kickass cover and proper formatting, is even more incredible. The day my latest novel The Sunken went live, I did a happy dance. If you’re at this stage of your writing career, I salute you, and offer you a glass of wine from my own bottle. I have been blogging about music since 2009, and have a small following. Instead of starting from scratch with a new website for my fiction books, I decided to promote my writing through my blog. In March 2014 I self-published my first novel At War With Satan to learn about the process, and check whether self-publishing would work for me. It worked so well that I was hooked. Next on my list was my latest novel, The Sunken, part one of a dark fantasy series set in a steampunk world where dinosaurs still survive. That went quite well too. Here are the 10 things I did to succeed. When I started planning book-related content for my blog, I thought about what people who read my books might enjoy reading. On chatting with other writers on forums, I was shocked to discover that many of them wrote about the writing process, grammar and syntax, their writing habits, and marketing tips. Are readers really interested in that stuff? As a reader, I’m not! I don’t read an author’s blog to find out how they market their books. I read it because I want to know more about the author and the world of the books. And yet, so many authors blog about the writing process. Maybe I was wrong. As an experiment, for one of my book launch posts, I included a post about my writing process. It was the most poorly performing post of my entire launch series. I wrote a list of my favorite books in my genre. I shared some book excerpts. I created a playlist of songs that inspired the book. I created a book FAQ. I wrote some articles about the history behind some of the elements in my book. Before you begin your launch strategy, it’s vital to get your blog into the best shape you possibly can. Your main pages load properly and have no errors. 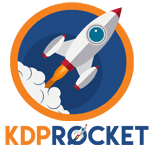 You’ve added and updated book links, and included your book in the sidebar. There’s a huge, obvious button encouraging mailing list signups. The forms on your contact page and newsletter signup page work. Your About Me page is up-to-date. Your most recent posts are free of spelling and grammatical errors. The images on your most recent posts are clear and interesting. Got any popular posts on topics relating to your book? Why not republish them with new dates so they are some of the first posts a new reader sees? 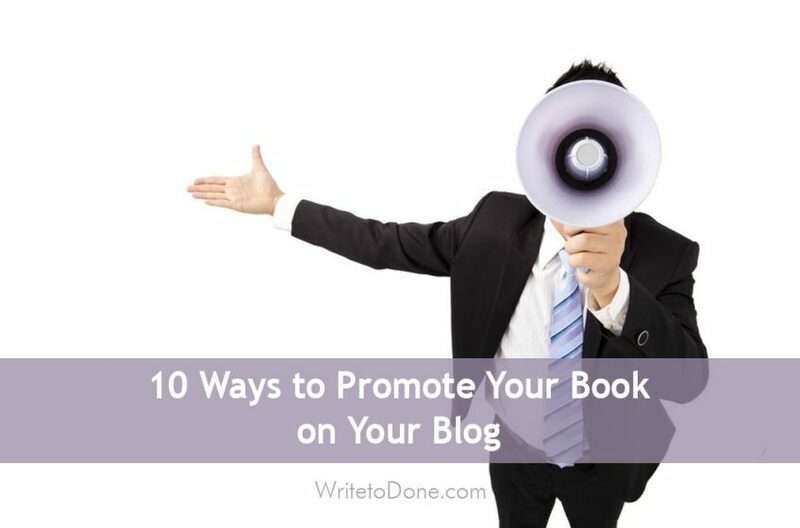 You need to create a detailed plan about how you’re going to promote your book. What you’re going to do on your own blog. What you’re going to do on other websites and platforms to draw attention to your blog. For your own blog, you need to plan book-related content for your entire launch period, usually between 2-4 weeks. Your inspiration for the book. Articles about historical details in your books (if applicable). For example, the history of the type of sword used by the hero, or 10 little-known facts about the city your book is set in. A playlist of songs that helped inspire the book. Bonus material such as free downloadable short stories. 10 interesting facts about one of your characters. A discussion about one of the central themes of your book. Post cool images inspired by your book’s setting on Facebook or Pinterest. Run competitions on social media or other sites, like Goodreads or Librarything. Tweet quotes from the book (works well if your book is humorous). Write guest posts on popular blogs. Write articles for magazines on topics related to your book. For example, if a character in your book is a mother, write about something that character struggles with for a parenting magazine. One of the things that help an indie author get ahead is gaining lots of reviews quickly. If readers see a book with a high rating across 35 reviews, they will be more inclined to choose that book over one with 0 reviews. Many promotional websites will only allow books with a certain minimum number of reviews to use their services. The sooner you gain these reviews, the sooner you can harness the power of these promotions. Using Mailchimp, I set up an autoresponder on my primary mailing list. After 3 days, all new signups are invited to join a second list – the ARC list. Anyone on this list will receive a free Advance Reading Copy of my next book as soon as it’s ready, at least a month before it is due to come out. They can offer feedback and suggestions, and post early reviews on their preferred vendors. I’ve found this a great tool for gaining those early reviews. A gentle reminder to everyone on your ARC list the day before your launch will often result in several new reviews being posted – a clever way to shine a spotlight on your new release. One thing I’ve found really useful is to create an FAQ post for my books. Many people ask me similar questions during my book launch, so I put all the questions together into an FAQ. This helps readers to find my book more easily, and better understand the publishing process. Will the book be available on <insert vendor here>? Why is this book under a pen name? Once published, the FAQ is a great resource to use in your marketing. For instance, I can send it to someone from a local steampunk association who wants to promote my book on their Facebook page, or to my mum who wants to tell her colleagues about it. I also sent the links to my friends and colleagues. They are little windows into their reading future. I usually post at least one excerpt a week on my own site, as well as offering them to other book blogs to post. Choose your excerpts wisely. Don’t give away major plot points or surprises, and remember that your readers haven’t had a chance to develop a connection to your characters, so you can’t ask them to care deeply about them in an excerpt. I usually choose 3 excerpts from the first act of the novel. One from the opening chapters sets up the story and the main character. The second introduces the antagonist, and the third showcases awesome action or shows off something cool about the world of the novel. One thing that worked really well was creating a list of my favorite books in my genre (steampunk). At the end of my list, I added my own book, because (and I may be biased here) it’s definitely one of my favorites! I then submitted this list to some steampunk blogs and genre book blog roundups. It’s become quite a popular post on my blog, as people are often searching for new books to read in a specific genre. Gone are the days when authors packed boxes of books into the trunk of a car and set off to sign their way across the country, fuelled only by whisky, bad truck-stop food and a desire to reach as many readers as possible. Today, a book tour can be done on a fraction of the budget. A virtual book tour is a great way to increase exposure for your book during its launch, as well as gain more traffic to your blog and, ultimately, your book page. You can set up a blog tour yourself, or use one of the many companies that offer such services. I ran my last one through Enchanted Blog Tours and can’t say enough good things about them. The blog tour helped to generate some buzz during my launch month and also gave me some early reviews from established book blogs. Contacting niche bloggers is something you can do in addition to your blog tour, as niche blogs might not necessarily publish book reviews or book-related content. Niche bloggers are sites that cater to a specific aspect of your audience. For example, if you’ve written a romance set in a specific city, you might find lifestyle bloggers from that city who would love to write about your book. If travel features heavily in your book, contact travel bloggers. If it’s domestic abuse or disability, contact bloggers who deal with those topics. Introduce yourself and your book and ask if they’d be interested in a copy for review. Mention that you’d be happy to be considered for an interview or to submit an article. You will soon find yourself active in these niche communities, where word of your book will quickly spread. People coming to your website aren’t just reading your most recent post. Many come from search engines to look at old posts, or might be linked to an old article from a friend. If you want to get your book in front of their eyes, you will need to do some tweaking to ensure you are directing all your traffic to your book. Added my book cover as a big clickable button in my blog sidebar. It is my most prominent sidebar image. Added my book covers to the footer at the bottom of my page. That way, anyone reading a long article will see my books at the end. Added links to my books and mailing list at the bottom of all my most popular posts. This ensures I’m capturing traffic coming to my site through search. Created individual pages for each of my books with links to my book-related content (excerpts, FAQs, etc). Ensured my book pages are featured prominently in my navigation bar. A book launch is a huge deal. It’s taken you hours of work to finish that book, and many more hours of editing and honing your prose to get it ready for publication. Don’t let it launch to internet crickets. Use these 1o creative blog-based ways to give your book the best chance of success. Thank you for valueable posting. This tips give me a lot idea to promote my affiliate program. Thanks a lot again. Blogging is a great way to reach to more people. Because one of the best things about a blog is that the search engines love them. If you have a blog to call your own, there is nothing better you can do to make yourself better visible on the search engines. If you know about Search Engine Optimization, you will know that blogs are crawled by search engine spiders better than websites. Thanks for the tips. I have my page set up and two posts up I think its fear thats stopping me promoting more than anything else…. I have fallen into the trap of blogging about the writing process etc. I have posted some more personal aspects of my journey as well. How do you ‘blog a book’ when it hasn’t even been accepted by an agent, much less been published. I don’t want to post spoilers or more than a couple of excerpts. What would you recommend to someone like myself? Reviews are golden! Give away book, ask for review. Rinse wash and repeat, until you generate a boatload of reviews. I give away a ton of books – I have 10 now – and have noted my presence expanding. I’m priming the abundance pump. By helping others out, giving away free eBooks, I’m receiving sales generating reviews easily. Give away a gazillion copies, get those reviews down and you will boost sales. The easiest way to promote your book so others will promote it freely for you. This is smart promoting, or flat out leverage. Excellent Article about book promotion. These are Very useful and informative tips. Some really great and useful ideas here, thank you! Thanks Sarah – glad you enjoy it. I certainly had fun writing this piece – it’s a worthwhile practice to articulate why and how you do things, instead of just “it seemed like a good idea at the time” which is pretty much how I came up with the plan in the first place. Thanks Indy – and all the best with your publishing endeavours. Like you, I’m a big believer in not letting work sit on your computer doing nothing. If a publisher doesn’t want it, it might as well be out there growing your author brand and earning you money. Although you should definitely be working on that new book, it’s good to be able to get those other two out on the market – I’ve certainly found readers aren’t super fussed whether a book is self-published or trad-published, as long as it’s a ripping good read. Hi Steff, with two children’s books due out in the new year, one is part two of an early reader series I am working on, the other is a picture book, there is some very timely advice here. I raise my glass to you and say thank you. very much appreciated. I too, will be bookmarking this as I do not want to lose this gem. These are excellent tips. I had not thought of making an FAQ page or making separate lists for ARC copies! Hi Lorraine, thanks! Yes the ARC list has been invaluable. Right now I have an army of readers sending me typos and editing suggestions for a novella I’ve just finished. It’s making the book much stronger and I think I’ll have a lot more reviews from these folk when the book comes out. There’s a strong uptake on that list, too – 100% opened the email, and 75% requested a copy of the book. Thanks, Lorraine! The ARC list has been invaluable – I’ve currently got an army of readers sending me typos and editing suggestion on a new novella I’ve just finished. Their advice is making the book stronger and cutting down on my editing/proofing costs. The list also has high uptake – for this book, 100% opened the email, and 75% requested a copy of the novella. I’m hoping when I release the story I can rely on many of these people to leave a review. Thanks so much, Lizzie – I am really glad you found it useful, and hope using them will make your book release skyrocket to the top of the charts. This is the best post on launching a book that I have read, thank you I am now ready to launch mine. Thanks so much Ian – that’s high praise, indeed! You are so right on the first point. It’s worth saying that a writer needs to establish themselves as a brand and that takes learning marketing for writers (check out Jeff Walker’s book Launch). The best thing to start with is a blog on your book’s website or just a book launch blog titled for the book. It helps focus. As for the writing tips, it’s the name of the game for children’s books authors looking to score school visits. Children’s book writers scour the country looking for schools, libraries and other organizations that have author visit allotments in their ever dwindling budgets. So, a children’s author website, along with Young Adult author’s, cater to organizers looking for the latest in the writing process, grammar and syntax, and author writing habits. I’m not sure why authors will go on about marketing…Most importantly, you are right. It doesn’t work. Hi Patrick – thanks so much! I’ll definitely check out Jeff’s book. I’ve been meaning to read more marketing books for writers as there are a lot of highly recommended ones on the market right now. I may have a bit of a leg up in some respects as my day job is a digital copywriter / blogger (which I totally fell into – I used to be an archaeologist!) A lot of the techniques we use at my company for promoting our product (cloud-based software) can be tweaked and translated to my book promo. I’ve only just started my journey and so far I’m enjoying the ride. And you’re right – simply adding a blog or some other content to your book’s website is the best way to begin. There’s so much you can do with this: You could interview characters, or profile them. You could explain interesting facts about the setting, characters or themes. You can create book-related lists, games related to characters. You can talk about your inspiration. You can take pictures at events, or interview your illustrator. If you’re writing for children you can offer advice for teachers and parents on how to incorporate the book into lessons. You can create gift guides where you pair your book with other products (for example, a tear-jerking contemp romance, and a fancy tissue box holder …) The list is endless. I run blogging workshops at a local community college, and whenever I have writers in the class, they ask the same question – how can I get sales from my blog? And they are all blogging about writing and sharing their posts in writer’s forums. Blogging about writing, to my mind, is ONLY useful if later down the track you want to put out products for writers – such as running writing workshops, speaking at conferences, or producing writing craft books (and in this case, scoring school visits). It’s about thinking what a reader would enjoy, rather than about what you want to write about. Writing for readers (and schools) can be just as enjoyable as writing about marketing and syntax. Hi Michael. Thanks! I will definitely check out your book. Alternative ideas definitely can work – I’m looking at putting together a collaborative kickstarter with a friend who is a costume designer to create some unique pieces inspired by my books – but it’s important to have the basic stuff down first, the stuff readers expect to see. I visited Glastonbury in 2009 – beautiful, bewitching place. You are very blessed to call it home! It sounds like you have a great support network with your creative family, which is so important. Some people don’t have that and I can’t imagine how hard it must be (my husband is both my harshest critic and my biggest fan). Thanks for this. With my next book due out soon(The Child on the Terrace), I needed this advice. Thanks Virginia – all the best for your upcoming launch! Thanks Virginia – and all the best for your upcoming launch! This is one of the most in-depth posts I’ve seen on this topic – so thank you! I love ALL of the ideas and plan to implement them in some way when the time is right. Thanks Lizzie – I’m glad you enjoyed it, and I hope you have the chance to implement sometime soon! Here’s a glass to you! Congratulations and here’s to success and the next one .. These are some wonderful points Steff! A book is an adventure in every writer’s life and that is something that needs “celebration”. Yay! I love how you have managed to promote your book to your current blog (instead of starting a new one) – the key here is to find the right angle. The sweet spot – what you deliver and what people are interested in! Only half of the work is done when you get your book out there – even though that’s already a LOT of work! The rest lies promoting the book. I admit, most people’s advice would’ve probably been to start a new website/blog, but I’ve run multiple sites before and it is NO FUN. So it was purely out of laziness that I found a way to make it work. It helps that there is a lot of crossover, though, and I’m also trying to broaden my site content so people who aren’t interested in music can still find a lot to enjoy there. (I’m writing more about my house and living off-grid, as a lot of people are interested in that). You are so right – the book may be finished, but I feel as though I’ve only scratched the surface in terms of promotion. I have so many ideas, but a lot of it will wait until I have books 2 and 3 out – it’s better to promote a whole series. Right now I’m focusing any efforts on trying to gather more reviews so I have a shot at a Bookbub ad in the future. All the best for your writing dreams!